3 × two = Required Please enter the correct value. Silver prices are climbing 0.56% today (Friday) after Britain voted to leave the European Union (EU). On May 25, the price of silver was trading for $16.30 an ounce. Now, silver prices are trading at $17.76. That's an 8.95% increase in about a month. Silver prices are now up 27% for the year. In times of economic uncertainty, precious metals are a safe haven for investors. That's because as currency loses its power and stocks plummet, the demand for silver and gold usually increases. When demand increases, so too does the price of silver. Brexit fears are helping silver prices climb today, but Money Morning wanted to make sure investors were focused on the long-term silver price outlook. 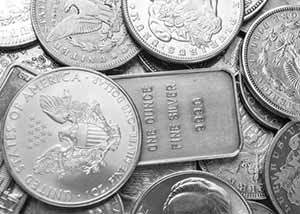 And Money Morning Resource Specialist Peter Krauth believes that silver will trade for $20 an ounce by the end of 2016. We will tell you why, but first we wanted to make sure our readers understood why the Brexit vote today was so significant for the price of silver. The main reason the stock market and certain currencies are tanking today is because of economic uncertainty. There's a fundamental concept driving silver prices in 2016: supply and demand. For the first time since 2011, production from silver mines will fall in 2016. Annual silver production around the globe will drop by 2.4%, according to the CPM Group. Silver production was 877.5 million ounces in 2014, but is expected to be just 785 million for 2016. That's a 10.54% drop in just two years, and the Silver Institute projects the silver supply will decline by a total of 5% for 2016. Silver actually plays an important role in the production of certain solar panels. Each photovoltaic cell solar panel is built with 20 grams of silver. According to the Silver Institute, 70 million ounces of silver could be used in the solar industry this year. In May, there were 4.5 million Silver Eagle coins sold. A year earlier, roughly 2 million American Eagle coins were sold. That's a huge increase year over year, and May 2016 marked the best month for Silver Eagle coins in 30 years. American Buffalo silver coins also saw a huge increase in demand. There were 9,500 ounces of American Buffalo coins sold in May 2015, but that climbed to 18,500 ounces of silver coins sold in May 2016. That's an increase of 94% in just a year. The Bottom Line: Because of economic uncertainty after Brexit, silver prices are climbing. But that's not the only reason to be bullish on silver prices in 2016. Money Morning Resource Specialist Peter Krauth projects silver prices will climb to $20 an ounce by the end of 2016 because of its growing use in solar panels, demand exceeding supply, and global economic uncertainty.